can you block with Renowned Weaver, sac it, then block with spider token? What a great and terribly annoying idea! I hate the logistics of keeping track of tokens if you don't have them printed out or have actual card copies of each of the tokens. But the theme still works, and the idea is legit. That said, where are the spiders, man!? Gotta represent. Consider Penumbra Spider or Renowned Weaver (or both, since they produce different spiders). You can also get some sick spider tokens out from Arachnogenesis to stop attackers in their tracks and maybe get some kills. Also, Wingmate Roc would work here, giving you some power in the air and a token that would be a great target for populate. But this deck is still sick without these. Props to you. 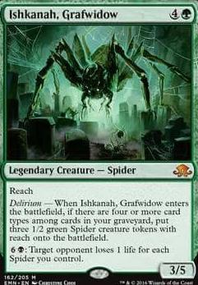 You can have a lot more fun with this if add a few other cards, specifically something like Conspiracy to make everything a spider subtype. Ishkanah, Grafwidow, Frostweb Spider, Graverobber Spider, Juvenile Gloomwidow, Renowned Weaver, Penumbra Spider and Spider Spawning would be good additions to this. I'd also use Elves of Deep Shadow with your Llanowar Elves so you have another mana producer. You could also use Blowfly Infestation or Crumbling Ashes go with the -1/-1 counters. Personally, I'd run Zombie Infestation as extra one with nothing copies. If its worth discarding your hand, its worth running infestation. Dropping the CMC will do a hell of a lot. Gonti's Machinations in particular is efficient damage that can sit on the field, and Sinister Concoction is also cute, which combined with Seal of Fire points to an 'enchantments matter' list. Some Genju of the Fens/Genju of the Spires might work, as might Demonic Vigor/Necromancer's Magemark. But thats not where I'm going. B/G Strength from the Fallen/Wreath of Geists with Stitcher's Supplier. Commune with the Gods/Kruphix's Insight, Nighthowler/Renowned Weaver, Boneyard Wurm etc. This also gives access to Seal of Primordium in the sideboard. I envisage it looking something like this- One Challenge. 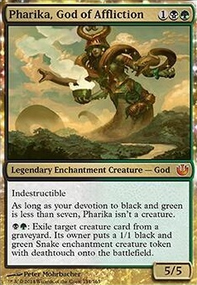 Mono black deckbuilder's toolbox is my big list of cards which I tend to brew from. feel free to take a look, see if it sparks anything. might i suggest Graverobber Spider. Obelisk Spider and Juvenile Gloomwidow might be okayish. Gloomwidow's Feast, Renowned Weaver, and Swarmyard might also be good for this deck. For cutting, I have two suggestions. One, this may be a bit risky, but you could take out the liliana. I know it's really great when she flips, but because she is a one-of, you either don't get her into your hand or it ends up getting milled. Second, you could take out the Renowned Weavers. 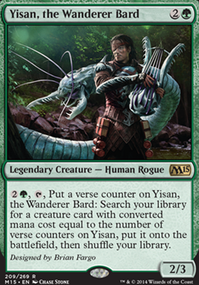 She is a really good combat trick, but I feel as if she would be better in a more mid-range deck. This deck is very aggro, and has no problem getting there fast, so I personally feel as if she is not really fulfilling her full potential in this deck. Also, you were concerned about not having a pump spell. Most of the time, the Fauna Shaman can tutor out the Nighthowler? So throughout the game, you would either have a pump spell or the fauna shaman to tutor out that pump spell, increasing your chances of being able to make a super strong Invisible Stalker if you get it into your hand. The only reason I even suggested the Invisible Stalker was because of fear of someone being able to just strip all of the Splinterfrights from the deck. The game is lost right there. I know there's mill, but it's really hard to win off of that strategy if the deck is still in graveyard mode. 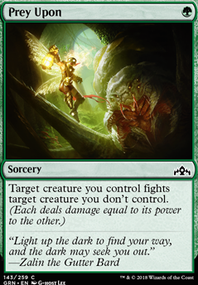 I would feel more confident if, when Splinterfright is no longer an option, to use mill as a stall and to get out the pumped Invisible Stalker when the opponent is running out of answers. Side note, if both Splinterfright and a pumped Invisible Stalker is on the board, the opponent is basically scooping on the spot. I really liked your deck, and I plan on making it my first real modern deck in paper. Remember how I asked for more budget options? Well, I actually went ahead and made a budget version of this deck! It would be great if you could check it out and give me some pointers; I'm not a deck building savant yet: The Fallen Are Screaming To Be More Budget! Freezingfist Thank you for your imput! After going through the deck again because the one I had up wasn't the version I was using, I realized that I don't actually have 60 cards in here. Probably going to add more lands. The way the deck works is that its supposed to come out of left field with a 28/28 flying lifelinker and 1 shot someone. Or at least that's how it has been working. Before I end my turn I cast Kin-Tree Invocation and get a huge token. Over all I haven't really had a problem closing out games. I think that having some more removal like Sinister Concoction would be good or Sanguine Bond to ensure that I can close out the game. 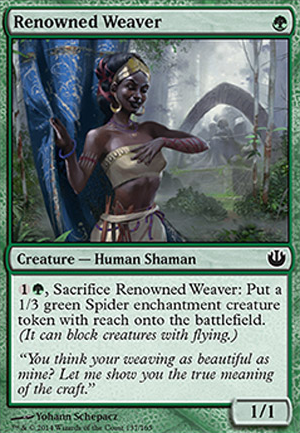 I also like the Renowned Weaver idea, not sure where any of these card would fit in though. There are a few things I would suggest, if you'd allow me. I think you need more lands. Thirteen seems like way too few. The likelihood of being able to consistently get a land per turn is low at this count, and you have 4 and five drop creatures you may not be able to get to without more. Also, the deck seems to be missing a 'finisher'. You have ways to gain life, but if they have a lot of blockers, you have no way to close out the game. 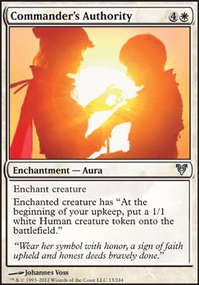 That's where Sanguine Bond would come in very handy. Another idea is Ghoultree. With all the yard-filling, you could have a 10/10 very cheap. 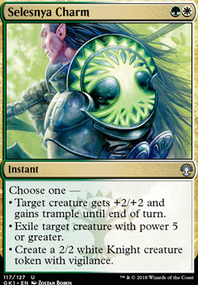 I would also add something useful on Turn 1, like a playset of Renowned Weaver. Gives you early presence, and can be sacrificed later to give you another enchantment+creature and puts another body in your graveyard. Another idea is Sinister Concoction, giving you another enchantment on the board, and options to later kill an opposing creature, while furthering your own plans to fill your graveyard.